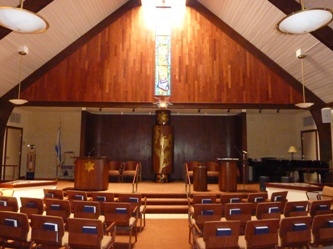 Cantor Patrice Kaplan served Temple Sholom from 1983 to 2011. She earned her Bachelor and Master of Music degrees from Temple University and received her cantorial certification from the Hebrew Union College – Jewish Institute of Religion. At Temple Sholom, she established and nurtured a rich musical life for our congregation. She led an active choral program that included many presentations of music written for our choirs, most notably a complete Shabbat Evening service composed by our own Brian Lowdermilk. Cantor Kaplan was active in the local Cantor’s Council, which produced choral festivals and cantorial concerts, and she also served on the executive committee of the national Women Cantors’ Network. Upon retirement, she and husband Jeff moved to St. Louis, where they currently spend their efforts on volunteer work for the Symphony (where daughter Andrea is the Associate Principal flute player). Their older daughter Sarah lives in Berkeley, CA and works as an independent lawyer dedicated to sustainability.